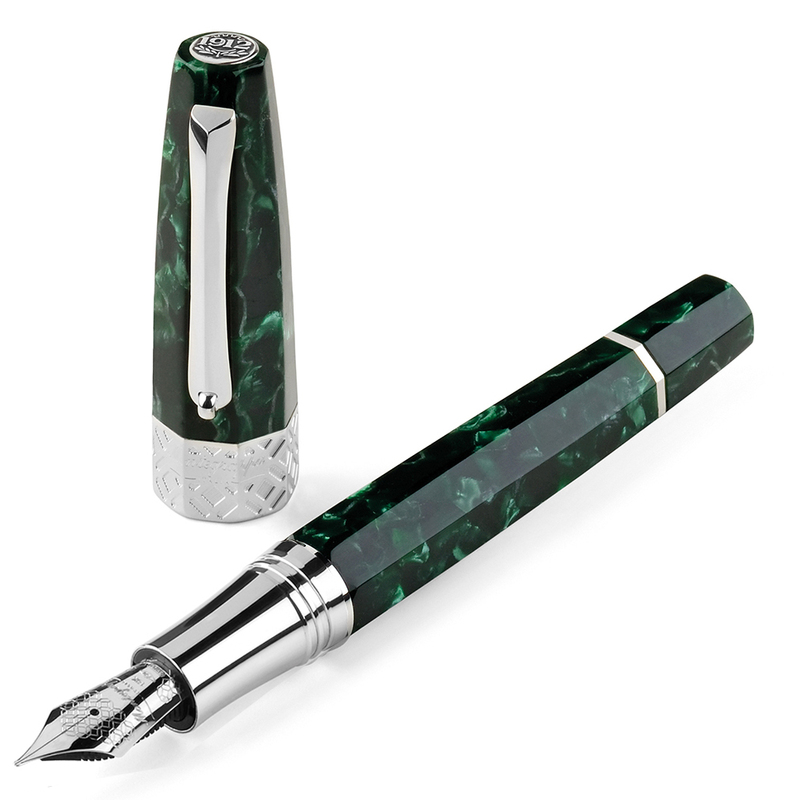 The Extra Otto from Montegrappa. 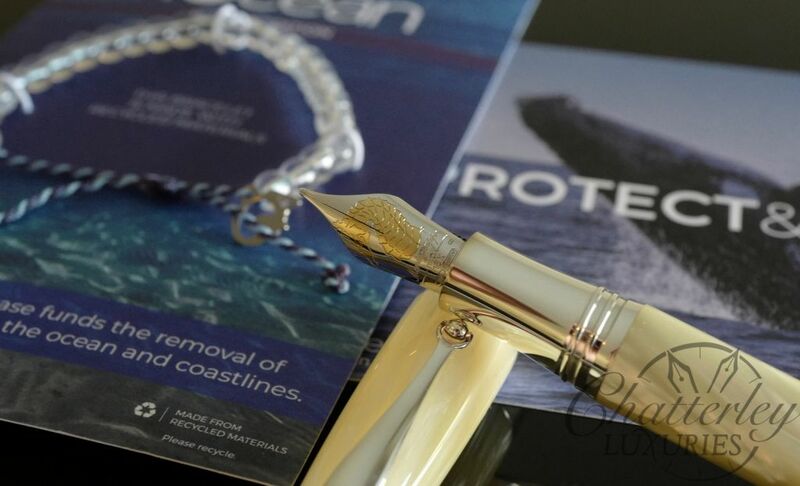 A Limited Edition pen made from true Celluloid and with Sterling Sliver trim. 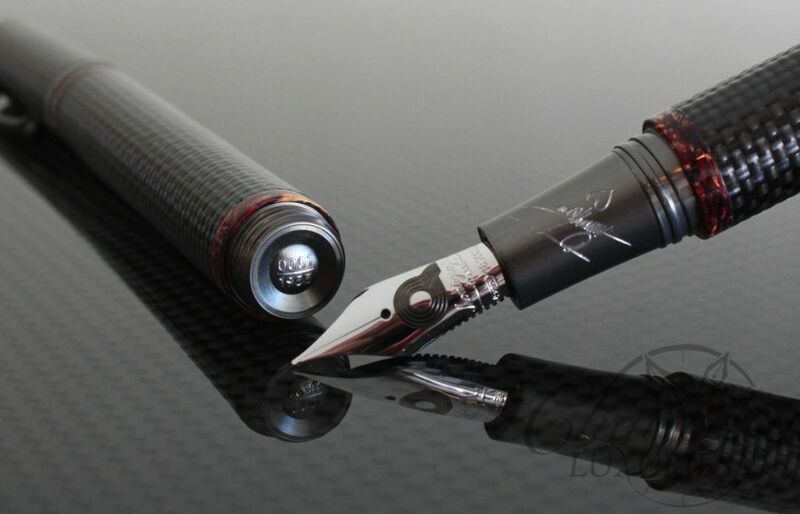 It fills via piston filler and boasts the oversize #8 nib with an Ebonite feed! 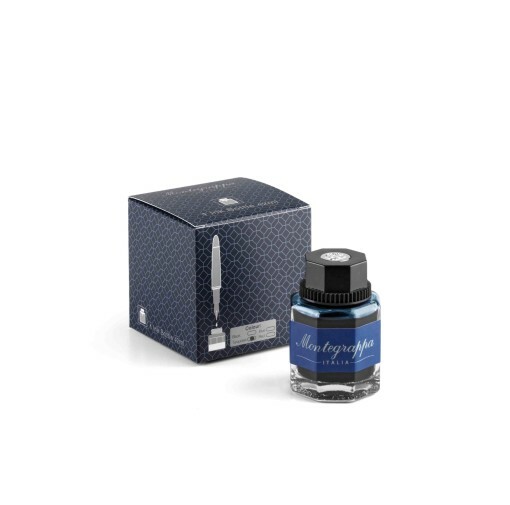 Among the many signature details of Montegrappa products, including the pocket clip with roller for easy ingress to and egress from pockets, the octagonal shape has long been a part of the Italian house’s design language. 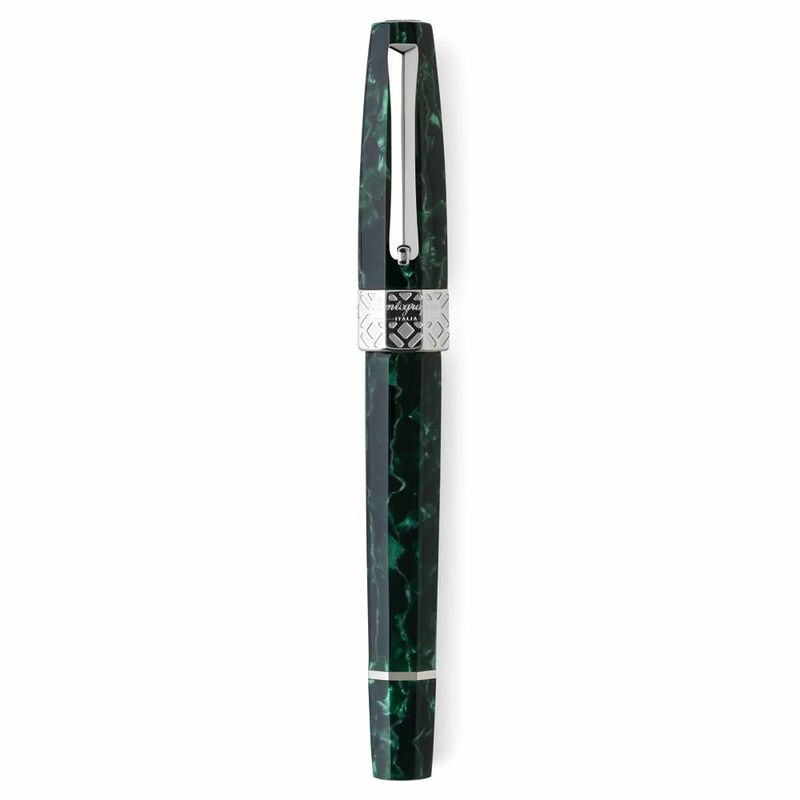 In 2012, the year of its centenary, Montegrappa revived the use of the eight-sided geometric shape that recurs throughout its designs. All Extra Otto fountain pens are fitted with 18k gold nibs, and can be ordered with one of eight nib widths, from ‘extra fine’ to ‘stub’. 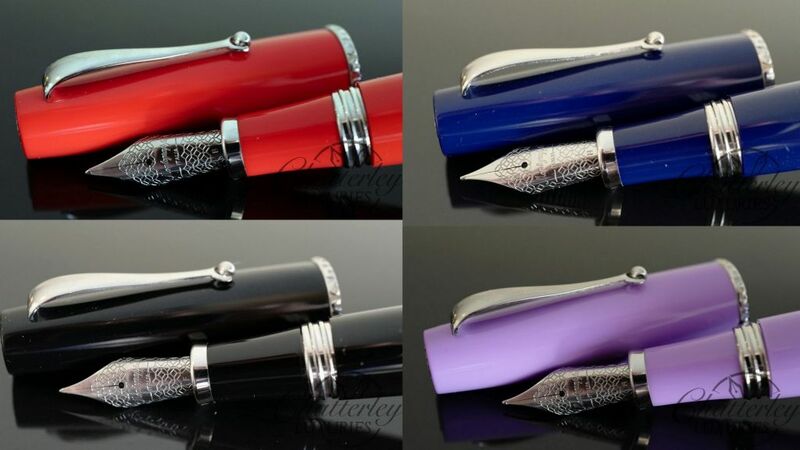 Please note that the Extra Fine nib is a two-toned nib, while all other nib grades are single-toned as shown in the pictures. 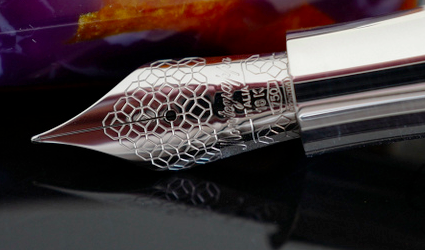 The trim on all Extra Otto writing instruments is made from sterling silver, and Montegrappa’s signature octagonal motif is engraved on the cap’s band. Extra Otto’s clip, fitted with the company’s roller, also boasts its own secret: a red lacquer backing.